A rare sighting last week has left wildlife lovers in a buzz. Marlis Ferreyros (a tourist to Machu Picchu) had the great fortune of spotting a spectacled bear cub jumping down one of the many ancient terraces that populate the ruins. Not only that, but Ferreyros managed to capture the sighting on video! The only bear species endemic to South America, the spectacled bear or ‘Andean bear‘ as it’s often known, is an elusive creature that is rarely seen. The animal in the video has yet to be officially confirmed as a spectacled bear, however, the long neck and colour match that of the species. Whilst the spectacled bear is certainly not a common sight, there are often reports of sightings and the Inkaterra reserve near Machu Picchu is working very hard to protect the vulnerable species and to reintroduce illegally caught bears back into the wild. In 2011, another spectacled bear was spotted at Machu Picchu and caught on camera. See video below. The species, which was the inspiration for the famous childrens character Paddington Bear, lives high up in the forests ranging from 800 to 4,300 meters above sea level. 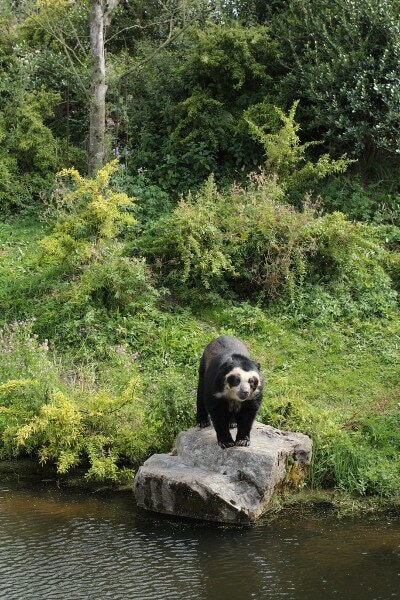 Spectacled bears are generally nocturnal and are South America’s largest carnivore. 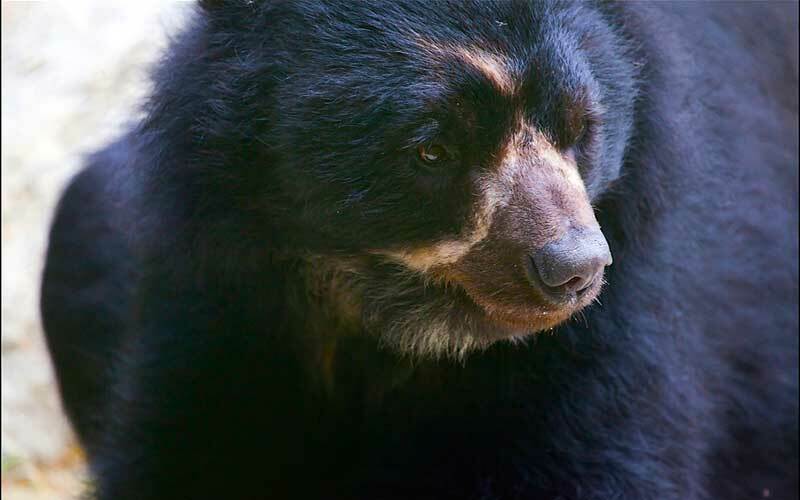 Because of illegal poaching and destruction and defragmentation of habitat, it is estimated that there are currently fewer than 3,000 spectacled bears in the wild. The national Geographic has listed them as vulnerable to extinction and sightings like Ferreyros will hopefully increase awareness surrounding these beautiful creatures.